Who can get a listing placed on this web site? If you have a business or non-profit organization in the Texas Hill Country, just send us your details in the same format as you see in this Portal site, and we will consider it for placement. Basic organization listings are free. Basic event listings for our calendars are also free. convenient on-line forms. Use the same format as you see in the other listings. Enhancements (bold, colors, digital images, more text description, etc.) and display ads are priced separately. Click: Advertisements for full details on options and pricing. If I see an error or outdated information in a listing, can it be corrected? No problem, just send in the correct information, and tell us what your authority is for specifying the requested changes. Thanks for your help. I know a lot about my town and would like to see your description of our town expanded. Will you accept submissions from local folks who know what the real story is? Absolutely. Just email us the material you would like us to consider, and we will evaluate it and use whatever we can of it to improve this web site. We don't pay fees for submissions, and we do reserve full editorial control. If a substantial contribution is made, we will give credit at the end of the article. 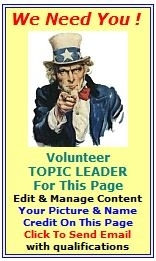 You might want to become a volunteer City Manager or Topic Manager on our Portal, with your own by-line. Let's talk about it. If good materials are already on another web site, will you consider linking to such content on other sites? We would be happy to place a link to high quality, relevant material that fits the scope of this web site. I am not a graphics person and don't feel comfortable designing my own ad. Will you help me? You bet! No problem. Just email or call us with your own description of what you are trying to accomplish, and we will build an ad for you, review it with you, and then place it on the Portal web site only after your final approval. Depending on the scope and intensity of the ad production effort, there may be a small charge when agreed upon in advance. the depth and quality of information provided on this web site.